As the mother to a little girl, I find myself deeply concerned by the amount of pink in the girls’ toy aisle. I don’t like the message about “ideal” body type Barbie sends my daughter and her friends. And I’m disturbed that in the United States, there’s still a gender gap in earnings, with women making approximately 19% less than their male counterparts. None of these issues should be taken lightly—we have a lot of work to do. Women and girls make up half the world’s population, yet represent 70% of the world’s poor. Girls are three times more likely to be malnourished than boys. Women make up 70% of the world’s working hours and earn only 10% of the world’s income—half of what men earn. LEARN MORE: Read Is Empowering Women the answer to ending poverty? Over the next decade, 142 million girls are expected to marry before they turn 18. Child marriage is most common between the ages of 12 and16, but can occur in girls as young as 3-4 years old. 67 million children worldwide don’t go to school. Over half are girls. 60% of children interviewed in India agreed that if resources are scarce, it’s better to educate a boy than a girl. $92 billion is the estimated economic loss for countries that do not educate girls to the same level as boys. We can view these statistics with personal empathy—by picturing the faces of the girls who want, more than anything, to learn. Our hearts can ache for child brides. Thinking about girls growing up in these conditions is enough to compel most of us to take action. But we can also view this issue from the perspective of logic and practicality. If our vision for the world is that of peace, human rights, and affluence, we should start by educating girls. One extra year of school boosts a girl’s future wages by 10-20%. 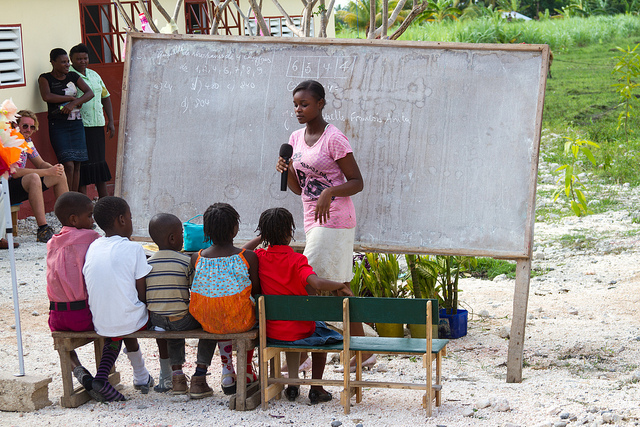 If 10% more girls are educated, a country’s GDP increases by as much as 3%. Knowledge and skills learned at school are passed onto her parents and the community. Education drastically reduces child marriage. On average, a girl with 7 years of education will marry 4 years later and have 2.2 fewer children. A girl who completes basic education is three times less likely to contract HIV. From these statistics, it’s easy to see the value of educating girls. But when you think of how many women and girls live in developing countries, figuring out how to help might feel a little overwhelming. Women around the world face enormous barriers, simply for being born female. 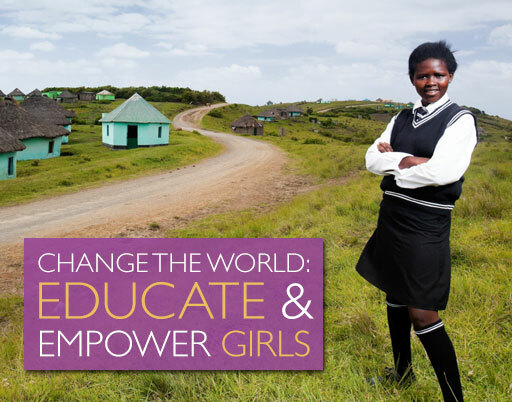 Help remove their obstacles, and give girls in other countries equal access to education. It doesn’t take a lot to make a huge difference. 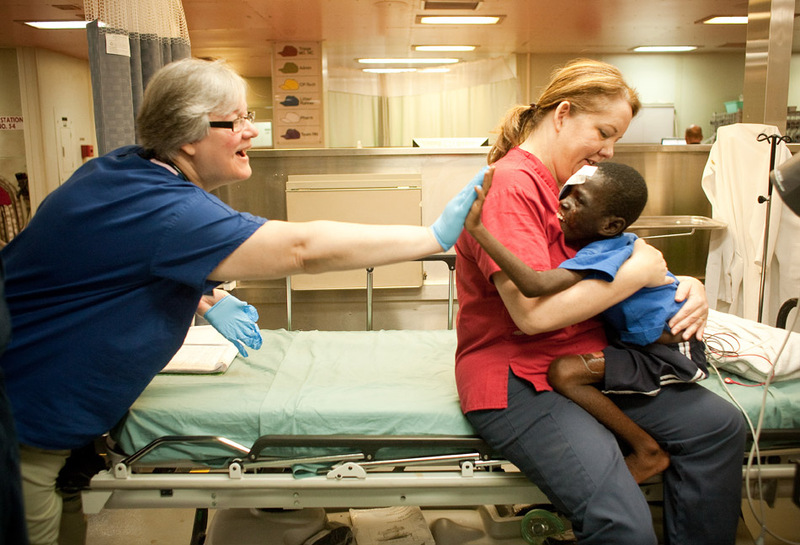 Charities are working hard to provide shelter and guard against death and disease. Organizations like Mercy Corps are taking creative approaches to solving the problems in Haiti. They teamed up with Mother Jones to help many of the small and medium-sized business that were lost in the earthquake by supporting Haitian entrepreneurs as they reopen their businesses and create much-needed jobs. Partners In Health reports that last month, four health clinics in Port-au-Prince operated by their partner organization have surpassed 100,000 patient visits since they were first established. The clinics serve four large settlements of displaced survivors of the earthquake. PIH also posted a fascinating series of blogs from workers on the ground. 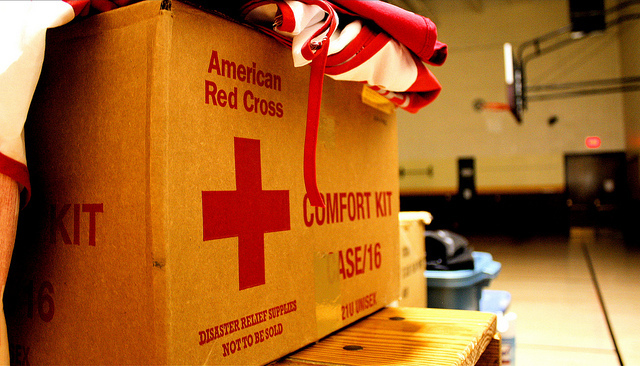 The Red Cross raised the largest amount of funds for Haiti earthquake relief. On their update page (http://www.redcross.org/haiti) they have an interactive map that includes markers, photos and video where their network provided aid. These cumulative efforts were made possible by a combination of mobile teams and responders at fixed locations to provide drinking water, relief items, vaccinations and other medical assistance. Ashoka Ashoka Fellow Daphne Nederhorst wrote about her experience on the ground finding local changemakers in Haiti in her post. These and other nonprofits working in Haiti still need your help. You can still join the hundreds of individuals who have committed to our Rebuild Haiti Campaign and are leveraging our $25,000 match by becoming a monthly donor now. More than 150 volunteers—a dozen student organizations, and nearly 15 local businesses and individuals providing everything from sound systems to food. A program packed with talent–the Naples High chorus, solo performances, poetry readings, drum circles, and ethnic dance performances. Booths that sold artwork, posters and calendars, and specially made t-shirts and bookmarks, with all proceeds benefiting the cause.. 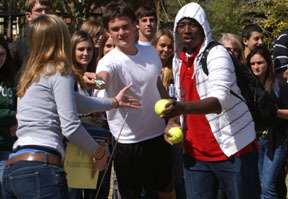 While this was his first involvement in raising money for Haiti and he needed convincing to participate, Naples High senior, Taylor Allen, said what he learned about the work of Partners in Health made him an enthusiastic supporter. “I discovered a model of International Aid I believe in and an organization I can really support,” he commented. 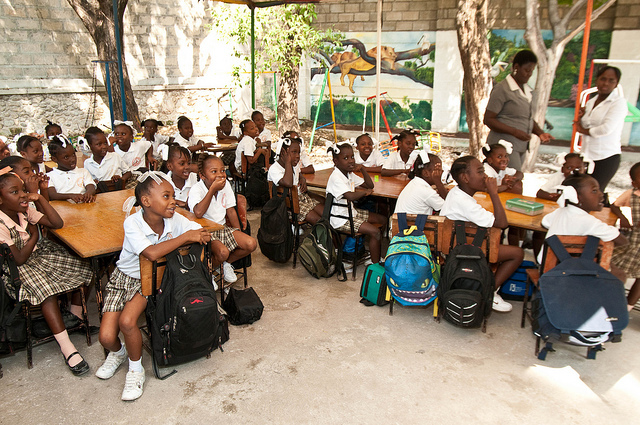 There are average people across the world making an extraordinary impact for Haiti. The Naples High students are just one story that demonstrates how determination and dedication can make a meaningful difference. Join them now by becoming a monthly donor and JustGive will match 50 cents of every dollar you donate. Show Haiti and its residents that while their story may have dropped from media headlines, they are not forgotten. Gustav, Hanna and Ike tore through the Carribean and Southeast U.S. leaving little more than debris and loss in their wake. Flooding in Haiti washed away crops ready for harvest and livestock relied upon for survival in a country already facing a food shortage. 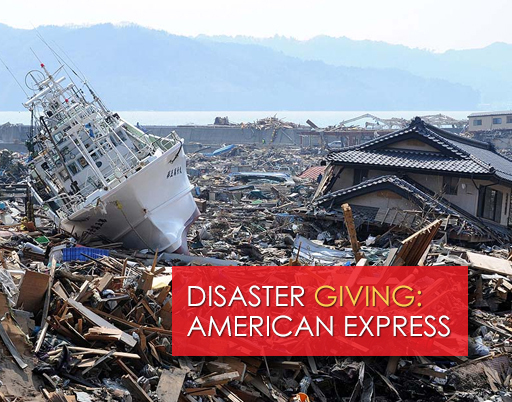 Millions of people have already donated to disasters both at home and overseas. Many experience what might be described as “disaster fatigue” and are reluctant to continue giving. Not to mention already difficult financial times – a shaky stock market, gasoline and groceries prices through the roof, unemployment rates and home foreclosures at record highs. By making a $10 donation to a charity already providing relief you can make a difference in the lives of people who have lost everything. How many people are on your email list? Make a donation and let everyone in your address book know about it. Your generosity inspires a friend, co-worker or family member. They donate $10 and pass around the link to others. Before you know it, your donation has inspired 100 people to donate $10 each. You helped generate $1000 towards food, fresh water, rebuilding homes, and providing temporary shelter. Most importantly, you give hope to people who have lost everything. Wow, that was easy. So, how else can I help? Have a friend with a birthday coming up and don’t know what to get them? Make a dedicated donation and honor their commitment to their favorite cause. Getting married and don’t need another toaster? Create a charity wedding registry and ask friends and family to make a donation in your names. Find a local charity and ask about volunteer opportunities.